Carl Palm (b. 1980, SE), based in London and Stockholm. Palm’s work spans across a wide variety of media including drawing, sculpture, print, installation, expanding into the realm of curating. Palm is interested in the step-by- step consideration of the process of art production and presentation and through predominantly sculptural gestures constructs his pieces as the points of emphasis. Intricate and unique in their own right, Palm’s works often point somewhere else, generating content without possessing it, acknowledging the context and presence of the other pieces in the show. Palm was educated at the Royal Institute of Art in Stockholm, MFA. Carl Palm the founder of the publication Good Times & Nocturnal News with contributions from international artists and writers. Previous issues have been presented at Komplot in Brussels, Contemporary Art Centre in Vilnius, Center, Berlin, Untitled, Miami, Friends with Books in Berlin and in connection to the 56th Venice Biennale and the Copenhagen Art Festival at Overgaden. His recent and upcoming exhibitions include: Space Collection, Liege (BE) Diesel Project Space, Liege (BE) Parallel, Mexico City (MX) Nosbaum Reding (LU), 427 Riga (LV), X Bienal de Nicaragua (NI), XII Baltic Triennial at CAC (LT), Yautepec Gallery (MX), S1, Portland (US),Cultural Foundation of Tinos (GR), GL Strand (DK), Overgaden (DK), Parallel Oaxaca (MX), Association Le Commissariat (FR), Kunsthalle Athena (GR), MACBA (ES), TOVES (DE), Komplot Brussels (BE) Kunsthalle Wien (AU), CAC (LT), Center (DE), ARTIUM (ES), Komplot (BE) Index – The Swedish Contemporary Art Foundation (SE) and IASPIS at the 12th Istanbul Biennale (TR). 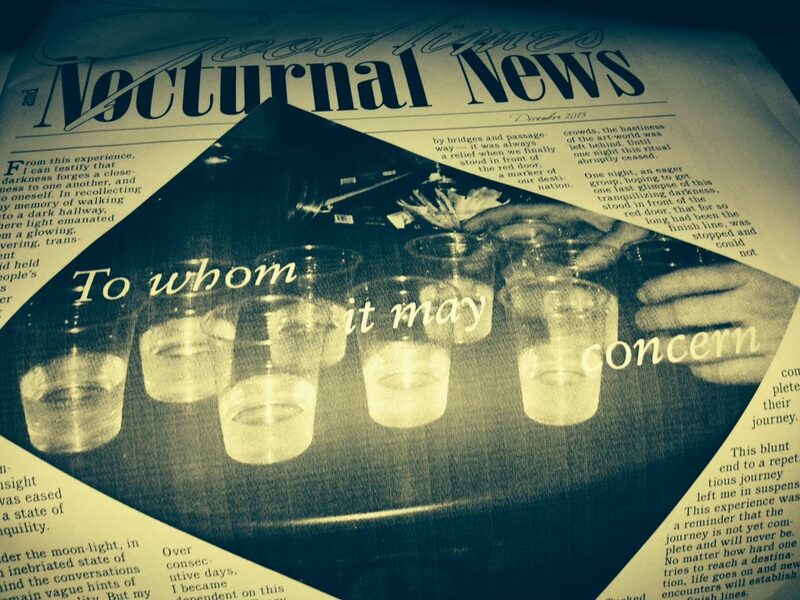 Good Times & Nocturnal News (founded by Carl Palm 2012) is a nomadic newsprint publication departing from the tradition of artist books, presenting voices by artists, writers, and curators in a consciously loose compilation. So far, GT&NN has been released in 3 issues and proves to be an engaging nomadic platform for future considerations and collaborations in print. Good Times & Nocturnal News #2 was produced at Rupert, presented and released at CAC under the title: Lazer Cut Fish and Chips. Mixed Media by Carl Palm and Sebastian Rozenberg is an investigation into potentiality and the production of meaning. A collaboration and ongoing conversation through the sculptural to the written, back to the ver- bal in a performative reading on the interest of sculpture, material history and contextual presence.